4) Buyer and Seller endorse the tank storage agreement (TSA) with the hired tank facilitators of the respective port tank farm i.e. JSC «Karasuk tank farms» Karasuk Oil-structural subdivisions of the JSC «Gazpromneft — Novosibirsk». 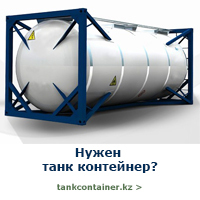 If Buyer already has tanks, Buyer shall provide Seller with bar coded Shore Tank Storage Facility Co-ordinates (TSA) along with the Tank Storage Receipt (TSR) for Seller’s confirmation.